This photo was taken in the old Railway Club in Calcutta Road, Tilbury. As you can see, it was very popular. I can still remember some of their names, I wonder how many are still around? 2nd row up – on the left – that’s me – Barry Banks. 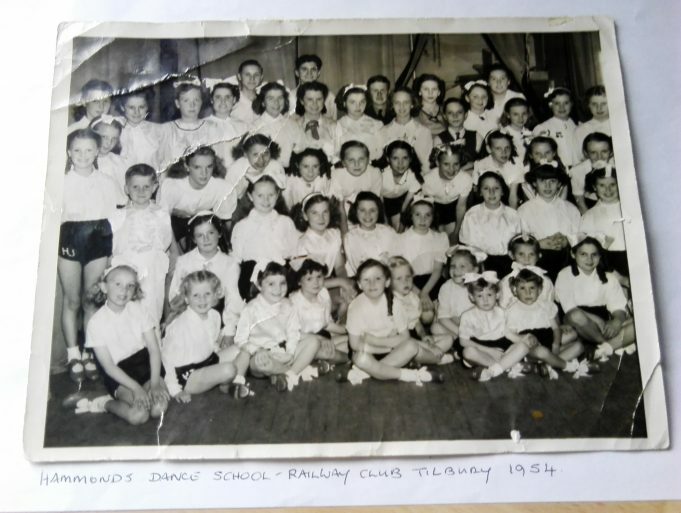 My Sister Shirley, with the bows in her hair, is in the top row on the right. She is still tap dancing at the sprightly age of 81 .